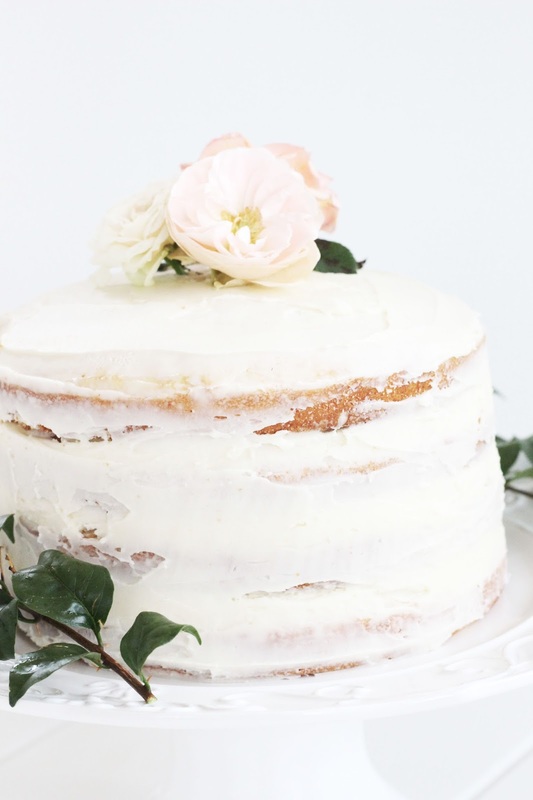 If you seen my Pinterest boards you'll know I'm kind of obsessed with naked cakes. I finally decided I would muster up the courage and make one for myself. From photos, naked cakes seem fairly easy to do, but for some reason I always thought it would be quite hard but to my delight it was one of the easier style cakes to do. 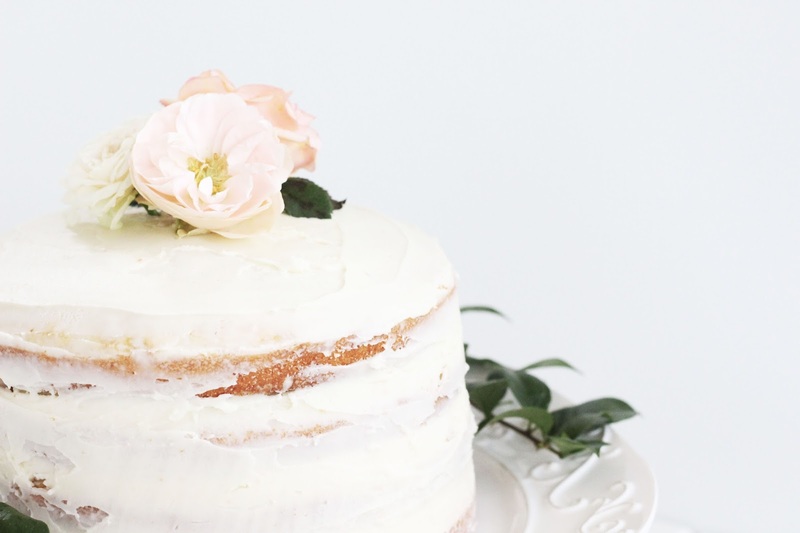 Keep reading to see my own version of a naked cake. Make this recipe twice, one recipe yields 2 cakes. You'll be needing 4 layers. 1. Preheat oven to 170* degrees. Grease 2 cake tins and lay wax paper on the bases. 2. Beat butter and sugar in a freestanding mixer until light in colour and fluffy. Add the beaten egg and mix. 3. Sieve the flour and add alternately with the milk. Add the salt, vanilla extract and caramel essence. Lastly fold in the baking powder. 4. Divide the batter between the tins and bake for 20-25 minutes. Insert a cake tester and if it comes out clear, the cakes are done. Allow the cakes to cool on wire racks. 1. Beat the butter in a freestanding mixer until the butter whitens. 2. Sieve icing sugar and add it to the butter. Beat until well mixed. Add the milk and vanilla extract. Beat until the icing is light and creamy. 1. When I ice cakes I like to place wax paper under the cake. It keeps the icing nice and neat. Place square pieces of parchment paper on your cake stand, and place your first cake on top. 2. As shown in the photo below fill a piping bag with your butter cream icing. 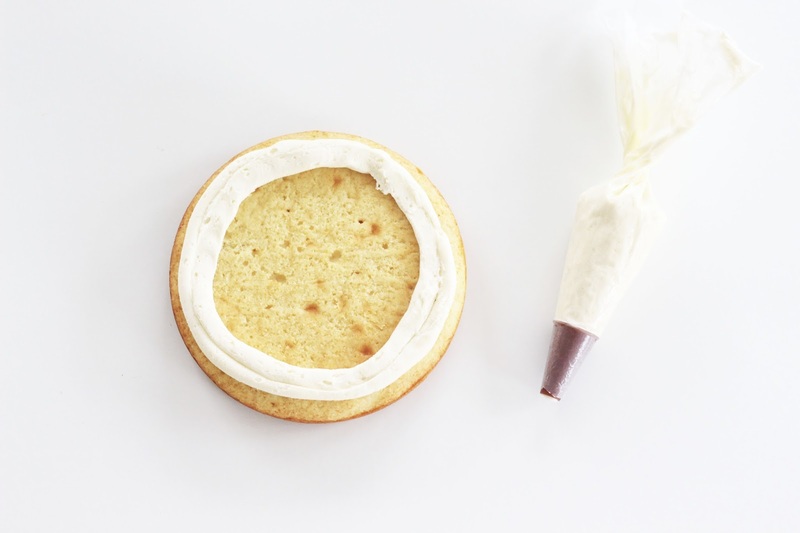 Using a round piping nozzle, pipe a boarder of icing around the edge of your cake. 3. 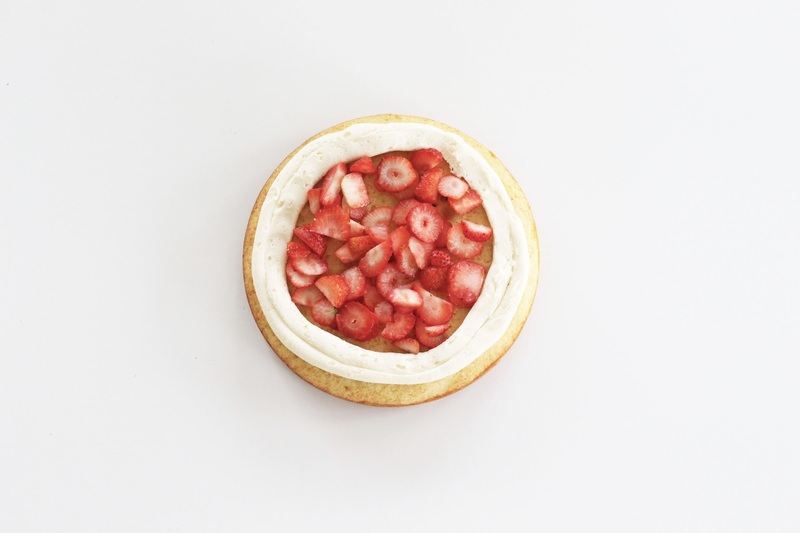 Fill the layer with sliced strawberries. 4. Place the next layer of cake on top and press down rather firmly. Repeat steps 2 and 3 to finish the rest of the layers. 5. Once all 4 layers of cake are complete, spread some buttercream on the very top layer of cake. Using an icing spatula, smooth the buttercream over the entire cake. Scarping away in patches to give it the naked look. 6. Decorate the cake with fresh flowers and foliage. If you use any of my recipes, feel free to tag me using @heysarahjeanne or #sarahjeanneblog on Instagram. 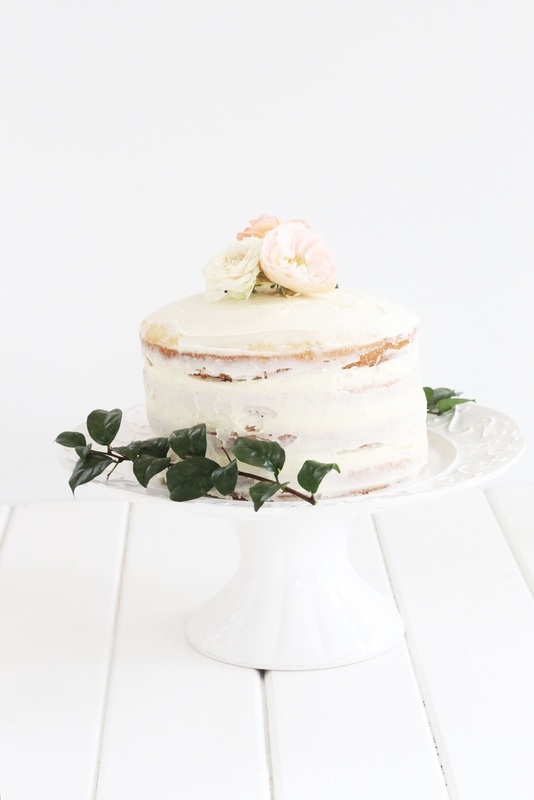 2 comments on "Vanilla & Strawberry Naked Cake"
It looks utterly gorgeous! Well done. I want to try this method for my babies first birthday cake. Thank you so much! I think this sort of cake would be lovely for a baby's birthday.